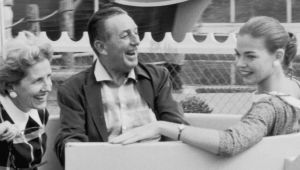 What Everyone Must Know About Walt Disney Success Story After 51 Years of His Death? Walter Elias a.k.a. Walt Disney was an animator, cartoonist, producer, director and entrepreneur. He is considered as one of the most creative men of the 20th century. Disney dropped out of school to join the Army when he was just 16 but was rejected for being minor. Instead of joining the Red Cross he was sent to France for a year to drive an ambulance. He moved back to the U.S. in 1919. He is also the man with the most awards and nominations with a total of 22 Academy Awards from 59 submissions. He and his brother Roy O. Disney founded the Walt Disney Productions which is today one of the most popular animation/motion film producers in the world. Now it is called ‘The Walt Disney Company’ and had a market cap of $178 Billion in May 2017. Walt Disney was born on December 5 at Tripp Avenue in Chicago. He was engaged in drawing at a young age. He soon improved his skill and was paid by his neighbour, Dr Sherwood for sketching his horse. He attended night classes at the Chicago Art Institute while doing his novice year at the McKinley High School, Chicago. He wanted to become a cartoonist and journal artist in the future. So he began by drawing cartoons concentrating on World War I for the school newspaper. Walt Disney cartoons and or designs were refused by countless publishers who said he did not have sufficient creativity to work for their newspapers. Soon he joined the Kansas City Film Ad Company where he made advertisements based on cut-out animations. Here he came across animation as an exciting field of work. Walt Disney studied animation by reading books and researching with a rented camera. Soon he chose to open his own animation company. He created a series of cartoons called ‘Laugh-O-Grams’ which presented at the local theatre. His cartoons became immensely successful in Kansas City area allowing him to take his own studio. But in a quick time, this studio had to shut because of inappropriate use of income and bankruptcy. Now Walt and his brother Roy combined their money and started a cartoon studio in Hollywood, California. Here they shared their cartoon ‘Alice comedies’ which met with moderate success. In 1927, Walt Disney invented the cartoon, ‘Oswald the Lucky Rabbit’ in partnership with Universal Pictures. This cartoon became a huge hit and supported their company earn high revenues. But soon he lost most of his workers and was helpless to continue production of ‘Oswald the Lucky Rabbit’. Now Walt Disney determined on creating a new character to produce a new cartoon series. This is how Mickey Mouse was born. Both he and Iwerks worked on providing Mickey Mouse with an excellent physical appearance and other essential features, in Disney’s studio. After initially failing to find anybody to spread their cartoon character, a businessman called Pat Powers came to their rescue. He gave the distribution as well as provided them with the Cinephone with which they were able to add sound to their soundless cartoons. They released ‘Steamboat Willie’ which became an immediate hit. Soon after all the cartoons they released went on to experience huge viewership. Soon the character Mickey Mouse became the most famous cartoon in America. Soon they launched another cartoon ‘Popeye the Sailor’ which again became enormously successful. Yesterday, Disney Confirmed $52.4 Billion Deal for 21st Century Fox in Big Bet on Streaming. Later, Walt Disney released ‘Snow White and the Seven Dwarfs’ which went on to make around $8 million and fitted the highest grossing movie year 1937. Mickey and Minnie Mouse Cartoons at Disneyland. On December 15, 1966, this famous cartoonist legend Walter Disney died from complexities of lung cancer, for which he had experienced surgery just over a month earlier. A private cremation was held the next day, and on December 17, his body was cremated and buried at Forest Lawn Memorial Park in Glendale, California. Disclaimer: These real success stories are being written after the research over the internet and newspaper about these famous personalities, CEOs, founders and business persons.